Rick Warren, author of The Purpose Driven Life and founder of one of the country’s most successful mega-churches was chosen to give the invocation at the Obama inauguration for the same reason Sarah Palin was chosen as McCain’s running mate: as a valentine to Evangelicals. Warren represents the kinder, gentler side of Evangelicalism, what many people like to think of as the Evangelical mainstream. He belongs at some midpoint between Jim Wallis (God’s Politics) on one hand, and Fred ("God Hates Fags") Phelps. Theologically, Warren has managed to steer clear of the worst excess of Prosperity Gospel — the God-wants-you-to-be-rich message that has made Joel Olsteen rich indeed. He acknowledges war as a moral issue and thinks its ok for Christians to care about our planetary life support system. For those looking desperately for someone to embrace — for a way to build bridges between fundamentalists and the rest of us — Rick Warren seems like a good bet. 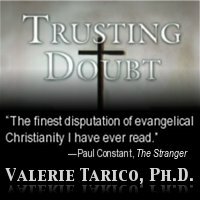 It’s important for us to recognize that there can be multiple opinions among Bible-believing Christians when it comes to debatable issues such as the economy, social programs, social security, and the war in Iraq. But for those of us who accept the Bible as God’s Word and know that God has a unique, sovereign purpose for every life, I believe there are 5 issues that are non-negotiable. To me, they’re not even debatable because God’s Word is clear on these issues. In order to live a purpose-driven life — to affirm what God has clearly stated about his purpose for every person he creates — we must take a stand by finding out what the candidates believe about these five issues, and then vote accordingly. Fascinating isn’t it, that 2000 years ago, the Bible writers managed to issue unambiguous statements about stem-cells and cloning? And that despite over a thousand references to poverty and injustice, these are issues on which there can be multiple opinions among Bible believing Christians? Crosby’s questions happen to mirror two critical teachings of Jesus as conveyed by the Gospel writers: His answer when asked which is the greatest of all the commandments (love God with all your heart, soul and mind; love your neighbor as yourself), and the reason he says that people will go to hell (as much as you have done it unto the least of these, you have done it unto me). Why aren’t they on Warren’s list? Mainstream evangelicalism, as a form of theological fundamentalism is about certitude, about simple clarity. The role of the evangelical minister is to help his followers know without a shadow of a doubt what is real and how to live. It is about taking our complicated, fast-moving, sometimes scary world and distilling it into Four Spiritual Laws. If you look at Warren’s list, what you will see is that they all have yes/no answers. To answer a yes/no question well can take a lifetime of thoughtful inquiry. But anyone, anyone when given a yes or no answer by a trusted authority figure can remember it, repeat it, and so relax. It is the power of fundamentalism to turn decent people from Crosby’s two questions to Warren’s five that got me out of the closet on these topics. It is what keeps me speaking and writing when I would rather be with my husband and kids. Crosby’s questions are complicated. They are the kind of questions that each of our secular and religious wisdom traditions has put at the very center of the human quest. They also are the kind that we struggle to answer even for ourselves, the kind for which no set of words suffices to articulate our musings and no set of policies suffices to heal our world. They are the questions that, when answered imperfectly but well, define the moral economy and the common good. They are the questions I want guiding our president. I have a dream that one day they will guide who is chosen to invoke the power of the universe on his behalf and on behalf of us all.